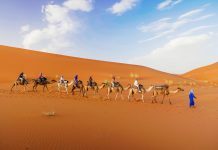 Photograph Morocco in its best light at these 15 stunning places with our Morocco photo guide, from the capital, Rabat to the Sahara Desert! 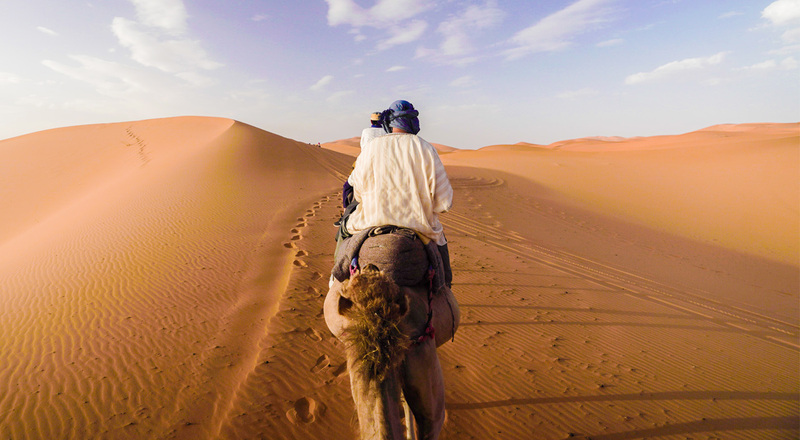 Start planning your Morocco flights here. 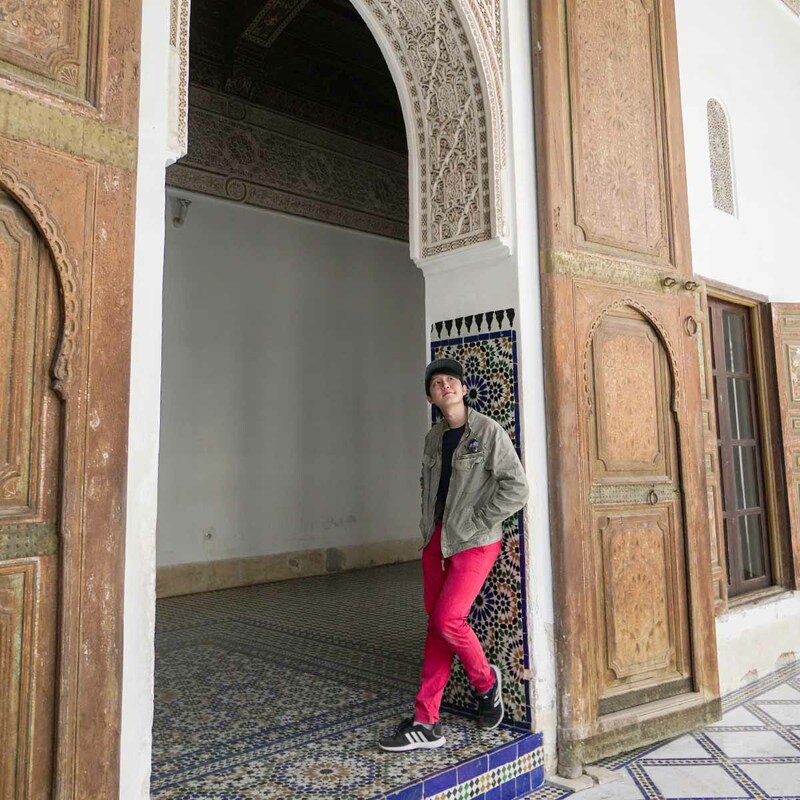 Colour me surprised when I discover that Morocco hosts an eclectic mix of mind-blowingly beautiful sights — after all, it wasn’t a trip of my own volition if you’ve seen our Destination: Unknown video series. 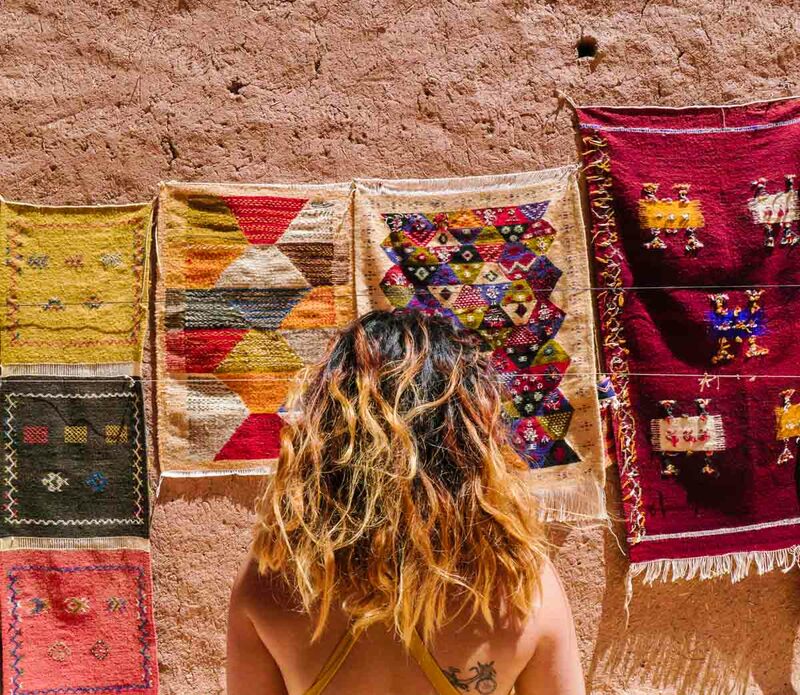 Truth be told, I would’ve never imagined that Morocco is awash with such an explosion of vibrant colours, from intricate mosaic tile-work and elaborately decorative shop set-ups to entire towns that are picturesque from virtually every angle. You also wouldn’t want to miss seeing the tangerine-hued dunes of the Sahara Desert for yourself! 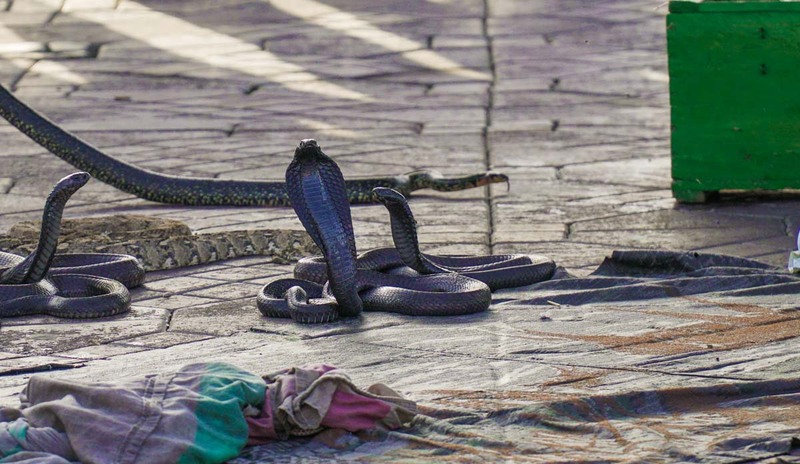 Moral of the story: not every Insta-worthy country needs to be a buzzing, high-rise metropolis, okay? 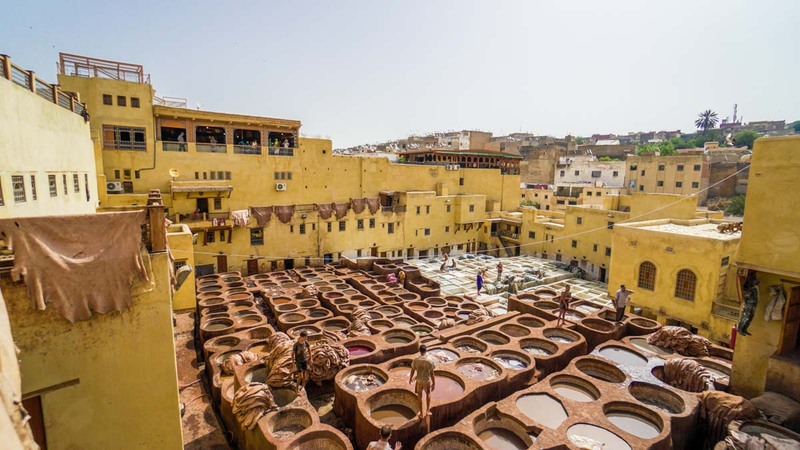 Here are 15 spots you can venture to in Morocco that’ll definitely wow you in the flesh — trust me, these photos don’t do the full magnitude of these places any justice. 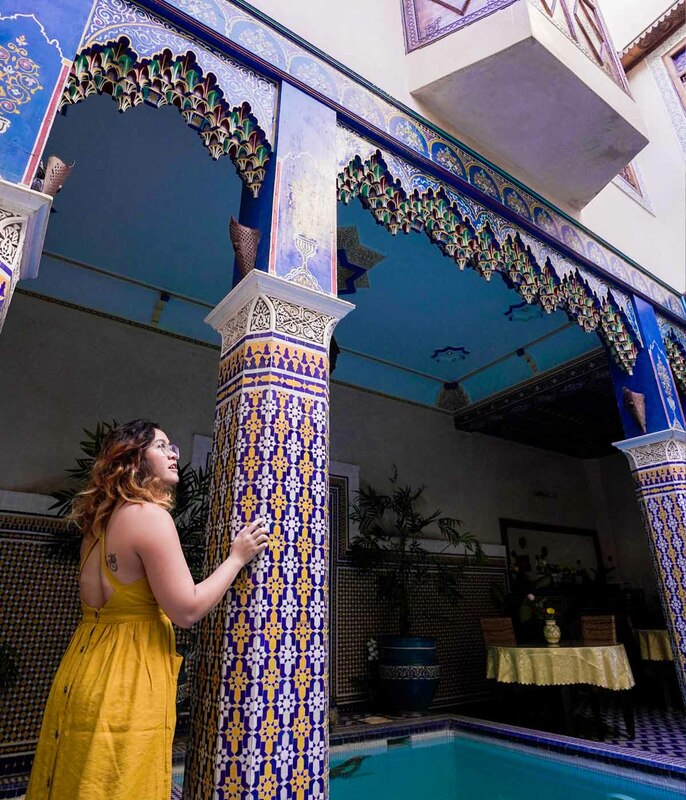 You’ve heard of hostels, hotels and Airbnbs, but when staying in Morocco, part of the experience is staying at a riad — traditional Andalusian-style Moroccan houses that only the affluent lived in, which would explain why they are at least two storeys high and have expansive courtyards, with a pool sometimes too! 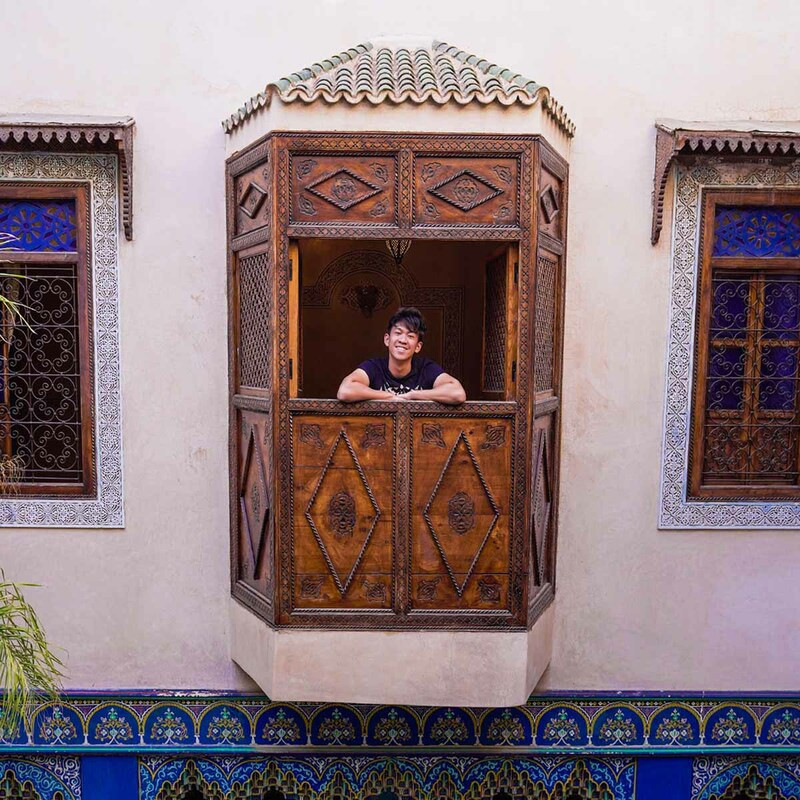 Today, riads can be found practically anywhere within a city’s medina and are repurposed as inns for tourists instead. You may book stays in Moroccan riads from Airbnb or Booking.com. Another key experience for any trip to Morocco is navigating through the meandering souk markets found in every city. 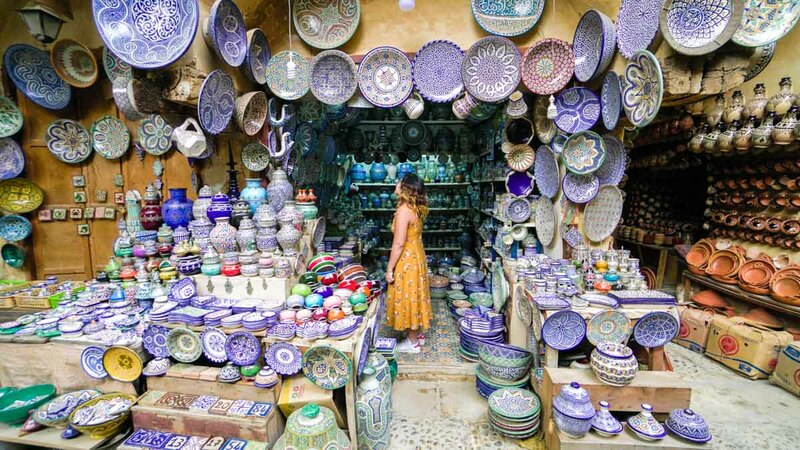 You can barely differentiate one alley from another, each with their own set of stalls selling ceramic plates (pictured above), tajine pots, furniture, souvenir goods and Arabic / Berber traditional clothes among others. If the Sahara Desert doesn’t exponentially up your Instagram feed game, I don’t know what else will. 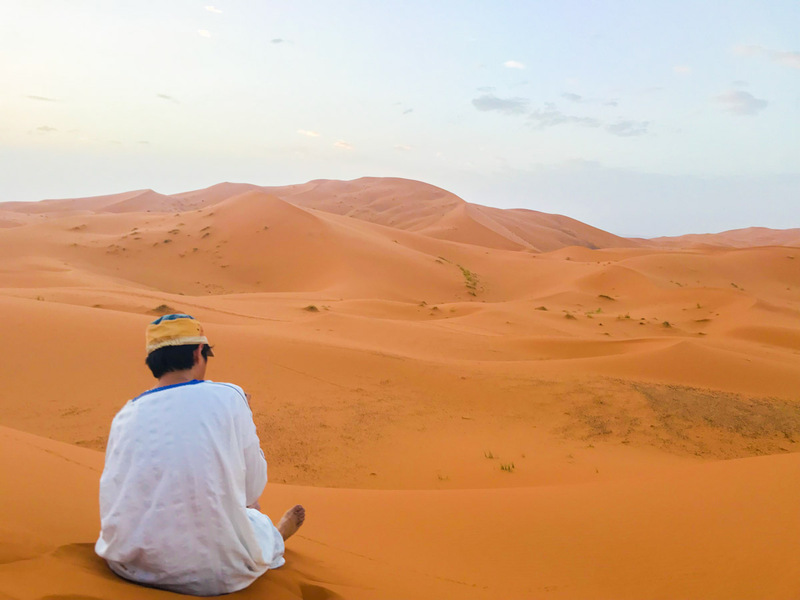 It’s a legit moral dilemma when you have to decide between capturing the best shots for your memories or putting the camera down to soak in the surreal beauty of the desert, admiring the untouched dunes as the setting sun casts sharp shadows across them, and between the sand ripples below. You can book a Sahara Desert Tour from Sahara Tours 4×4. 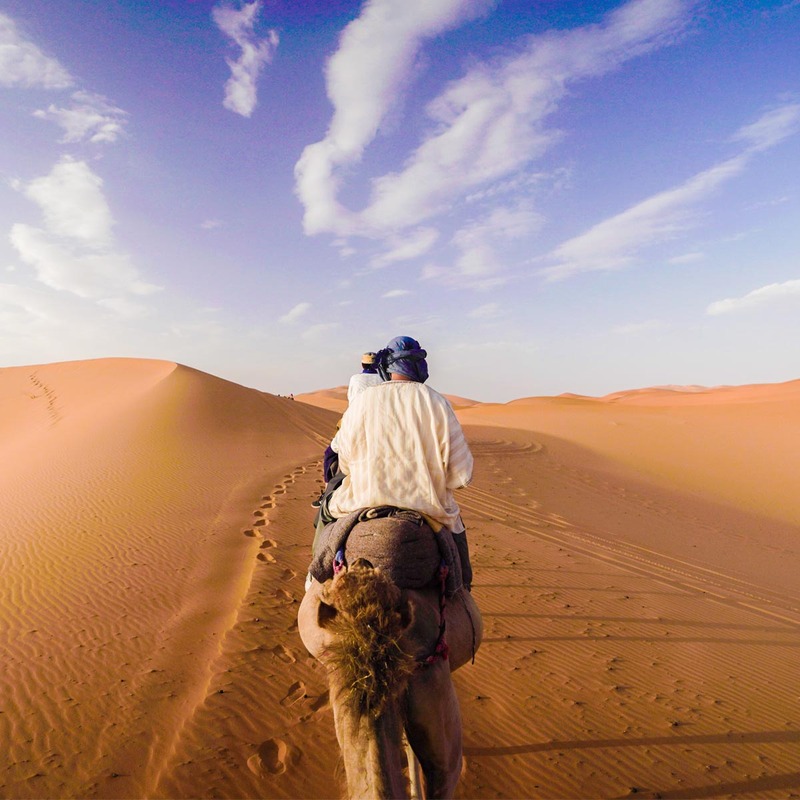 Find out more about our 3D2N stay in the desert in our Morocco itinerary! 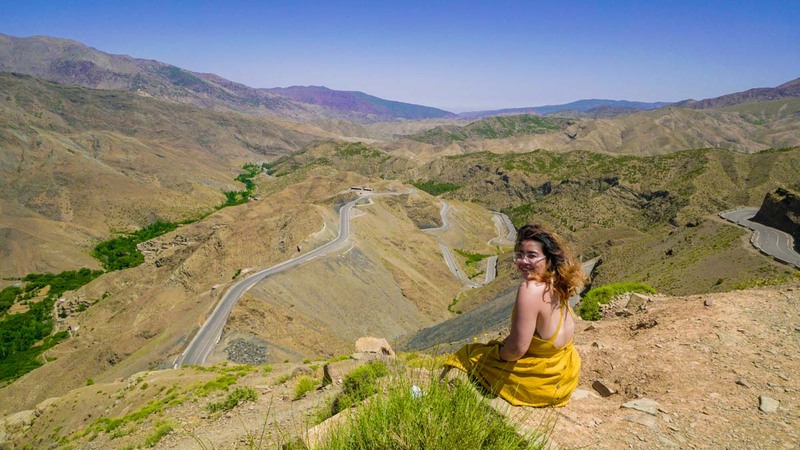 Tizi n’ Tichka is considered one of Morocco’s most beautiful roads, and one of the world’s most dangerous. Though we didn’t have to drive on it during our Sahara Desert tour, we were able to get a cool panoramic view from the top along with its surrounding landscape! Our visit here was part of the 3D2N Sahara Desert tour mentioned in point three. 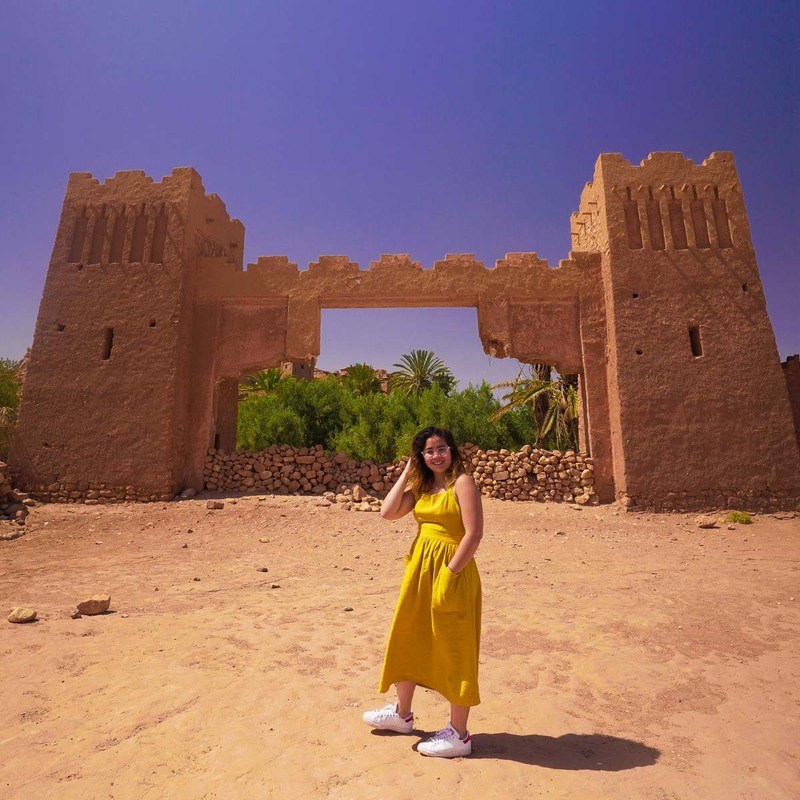 Also a stop along our Sahara Desert tour, the Ksar of Ait Ben Haddou is a semi-abandoned fortified village that today only houses three families, and mainly serves as a tourist hot spot today. Not just for its aesthetic appeal, but also because it’s appeared in films and shows like The Mummy, Gladiator and Game of Thrones. 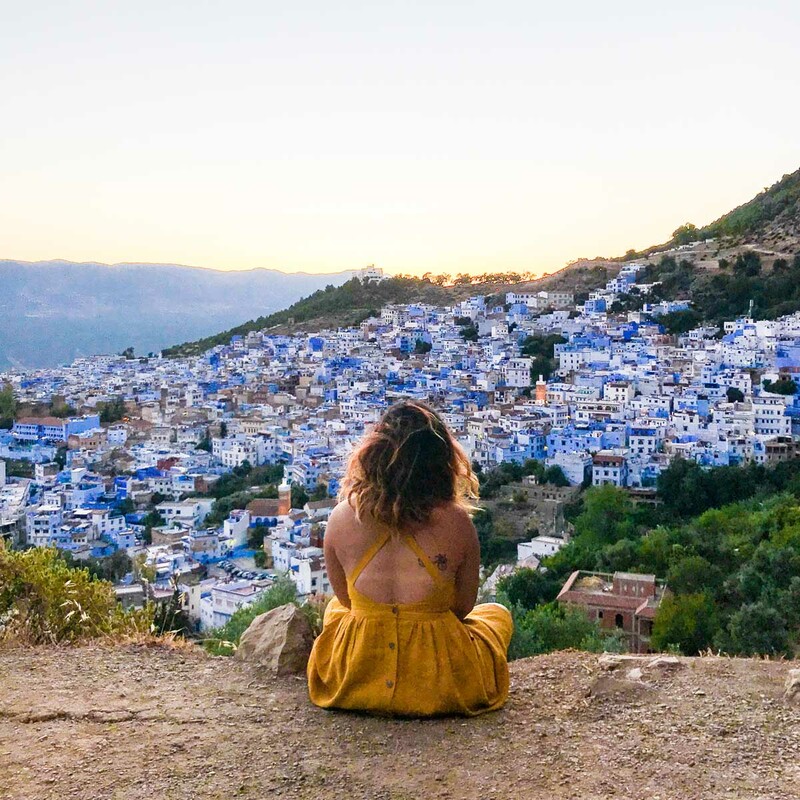 The medina of Chefchaouen is easily one of the most photogenic cities I’ve ever been to. 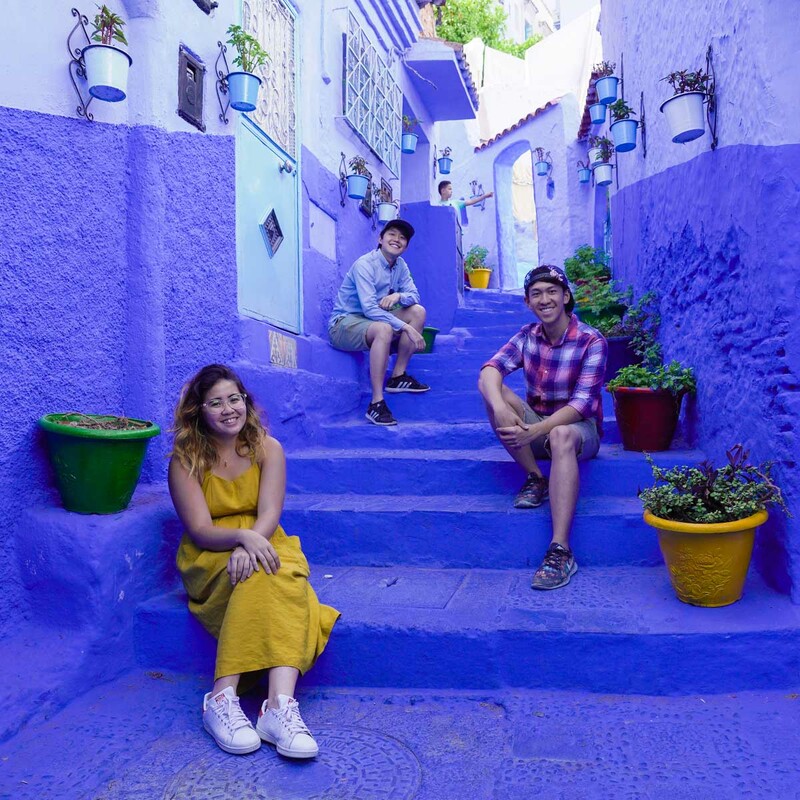 Hollywood may get flak for whitewashing, but there’s only love for Chefchaouen and its bluewashing. 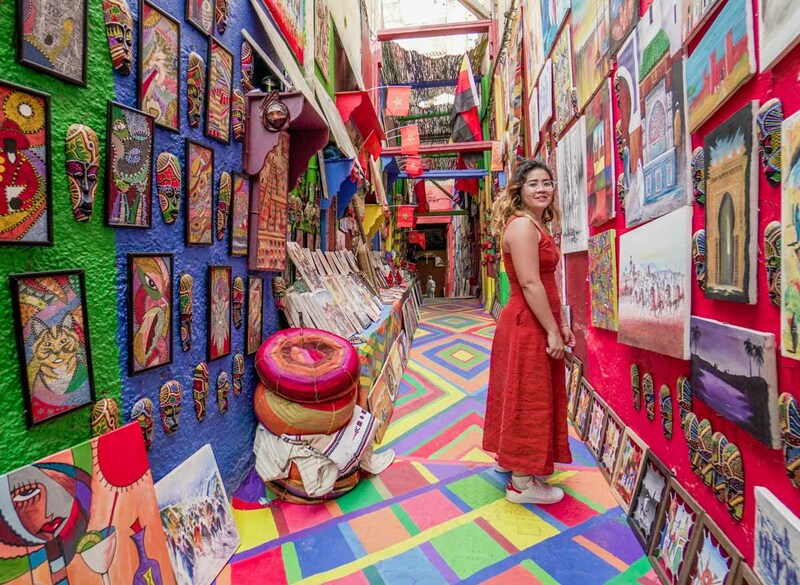 You’ll probably spend equally as much time shopping along their streets and posing for pictures along their many alleyways. There isn’t a consensus on why it’s painted blue — either because of the Jewish immigrants that flooded here in the past, that it helps cool down the heat in the city, or that it wards off mosquitoes (?). But if the reason is about aesthetic appeal? I can see why. 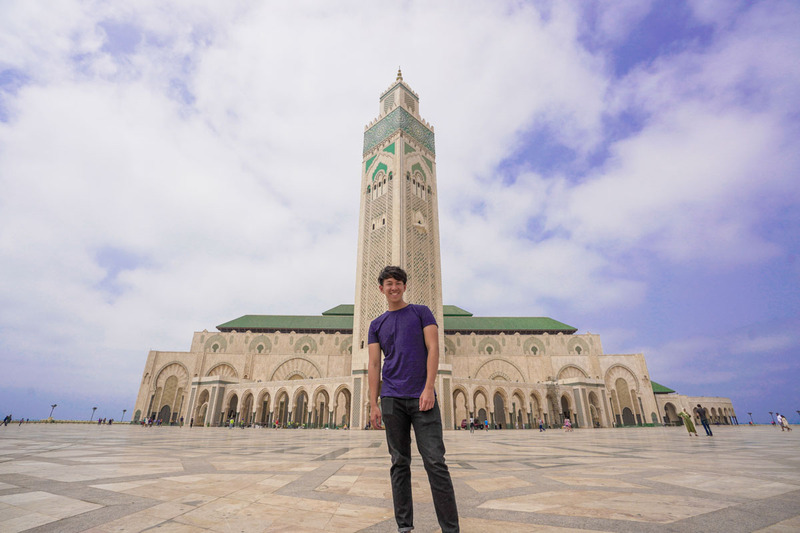 The Hassan II Mosque is so huge (well, it’s only the largest mosque in Morocco with the tallest minaret in the world), you will definitely need a wide-angle lens to capture it fully. Everyone will be huddled along the same plane to get that one same shot, so you might have to exercise patience and wait for the best window of time with the least crowd! The building lights up beautifully after sunset as well. 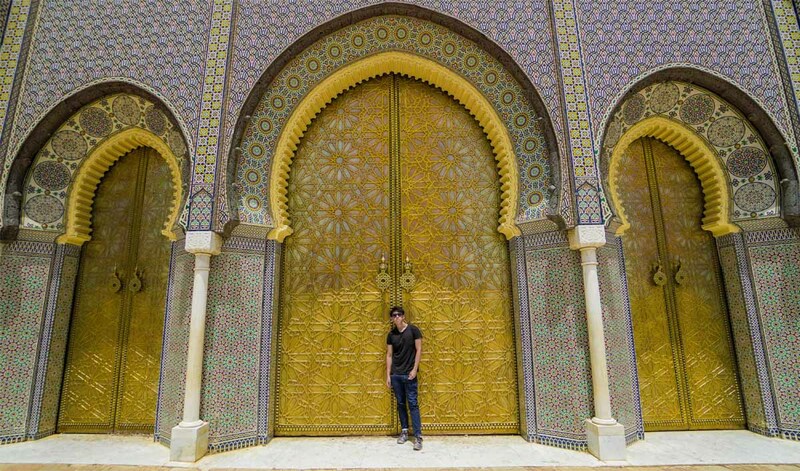 The grandiose Royal Palace of Fes spans 80 hectares, but unfortunately unless you’re in the royal family you’re left to only take pictures against their entrance with the golden brass doors. Avoid early mornings when most tour buses will stop by, and don’t get into the bad books of the guards! If the huge vats of leather-tanning liquid at Chouara Tannery don’t catch your attention, the smell from these concoctions definitely will — the “ingredients” include cow urine and pigeon poop! Don’t worry too much about it though. We didn’t find it all too unbearable, and the store vendors surrounding it that let you up to their sky terrace for a view (you can haggle for a low price) also sell mint leaves to help with the smell. The Hassan Tower is actually an unfinished project — Sultan Yacoub al Mansour had meant for this to be the world’s tallest minaret with a mosque at its base, but the construction was abandoned after his sudden death. That also explains the 200 or so columns of varying heights at the base, meant to be the foundation of the mosque. You can see locals and tourists trying out which column’s the highest they can get up on! This Roman ruin is not one that’ll ruin your photography game. Also a former Muslim necropolis, the abandoned space now runs wild with trees, cats and a lot of (noisy) storks. 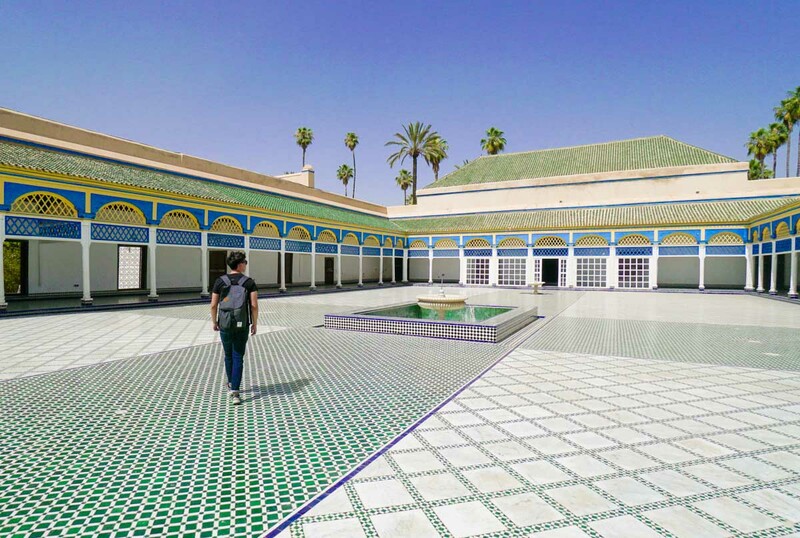 This popular tourist spot in Morocco’s capital, Rabat is also huge enough for you to wander for a good hour or two. 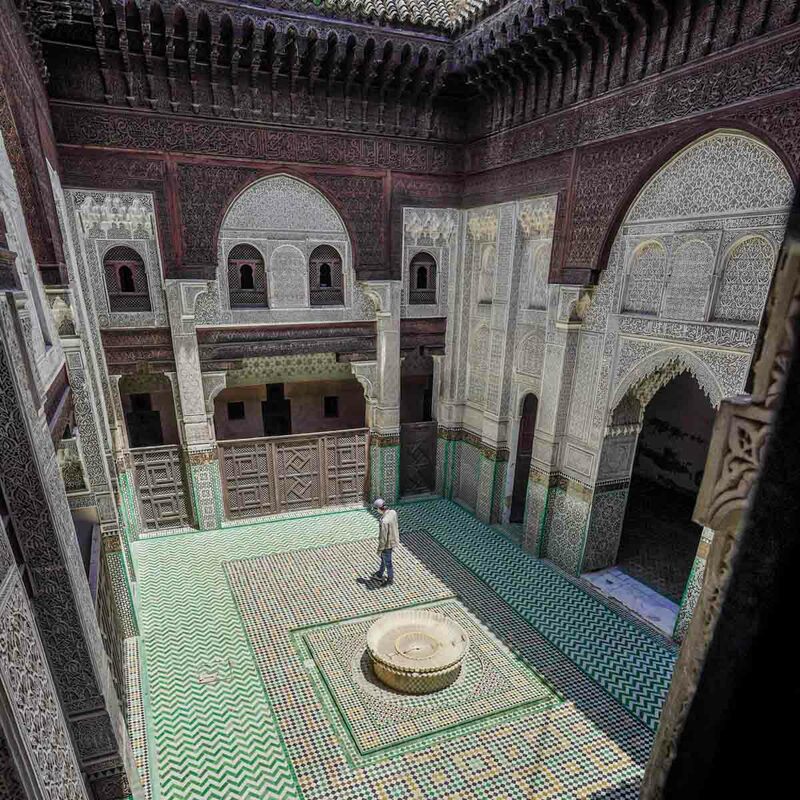 Watch him whip, watch him “neigh neigh” — Sultan Moulay Ismail loved horses so much, he built the Royal Stables specially so he could house all 12,000 of them, each with its own personal groom and slave to care for it. It was unfortunately destroyed after an earthquake in the 18th century, but it was considered a marvel of its time with an in-house granary that could store enough food for 20 years, as well as a canal running fresh water for the horses all day. 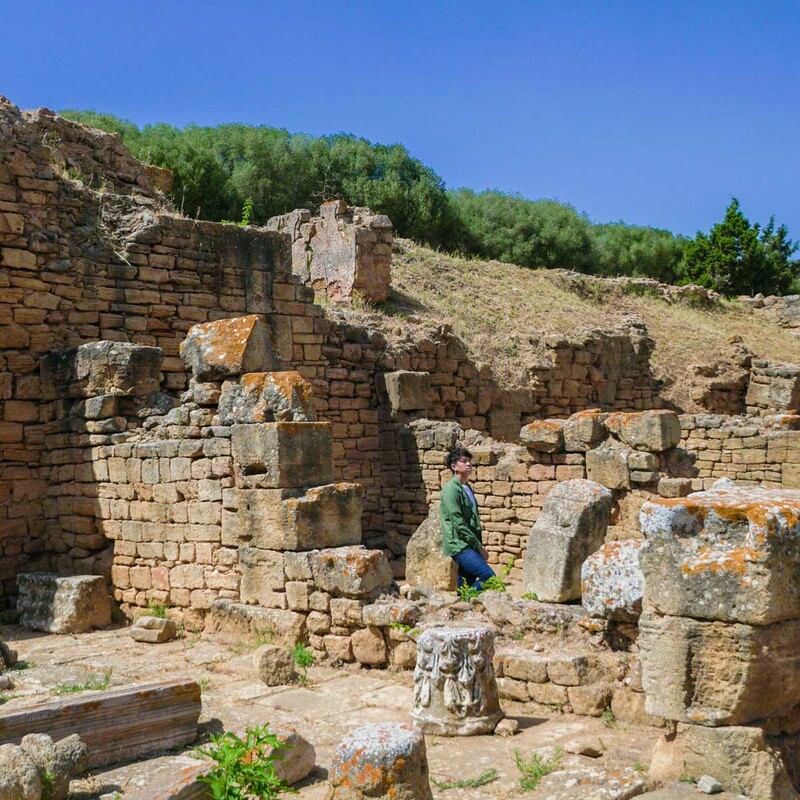 How to get there: The site has no specific address, but it is a 2km walk from the Mausoleum of Moulay Ismail. Madrasas are Islamic schools that’ve been around for centuries, and used to be institutes of higher education until they gave way to Western-style universities. Just like riads, they exhibit the craftsmanship of Moorish architecture with marble tiles and wooden carvings. 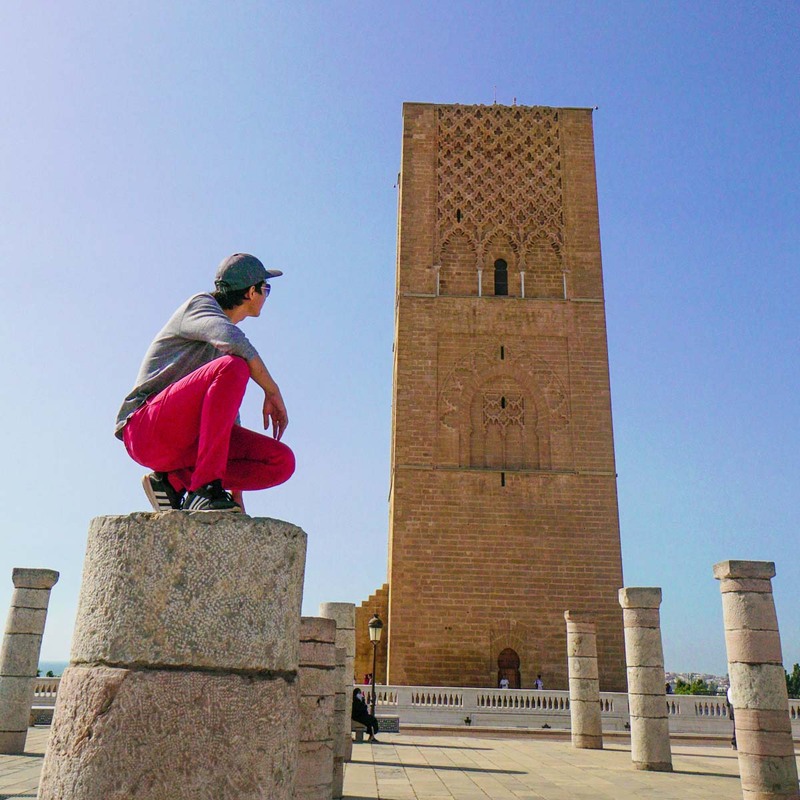 Every city you visit will definitely have a madrasa (sometimes also spelt as “medersa”) — the Ben Youssef Madrasa in Marrakesh is one of the most popular, but is shut for renovations till 2020. There is also the Madrasa Bou Inania, with one in Fes and another in Meknes. The massive complex of the 19th century Bahia Palace doesn’t just have an immaculate courtyard, but also many other rooms that all lead to a central garden that’ll leave you walking around for a while. It was, after all, once meant to be the greatest of its time. For an ancient palace, much of the architecture has been preserved really well with the tiles still looking pristine and vibrant, and the plants well-maintained. 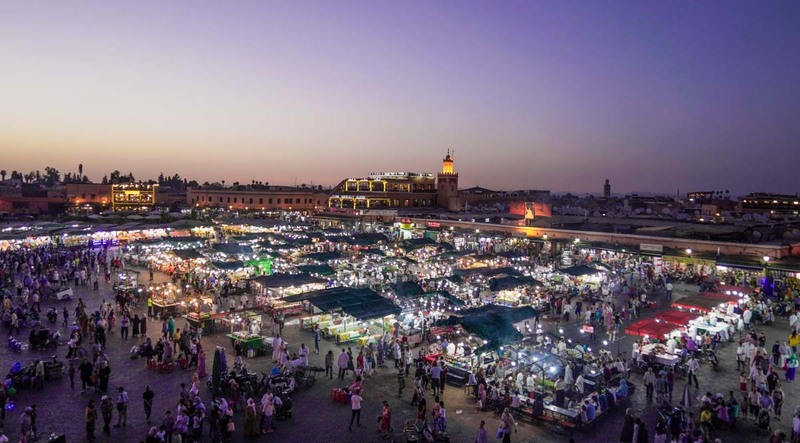 One of the most bustling hot spots in Marrakesh, Jemaa el-Fnaa is an open space that has so much going on at once — stall vendors selling food in open-air kitchens, fresh orange juice trucks parked side by side of each other, theatre street acts like snake charmers and musicians, and henna artists all hankering for your business. Picture-taking here can be tricky though, because unless you’re stealthy enough to take pictures without anyone detecting, you’re expected to pay up before even snapping a pic — otherwise they’ll start harassing you for change for taking their picture (and let’s just say their definition of a tip is different from ours. i.e. way higher). 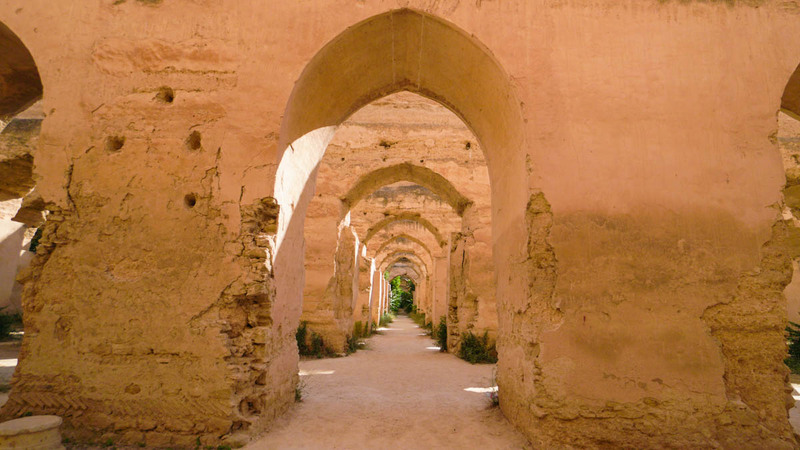 We hope these pictures inspire you enough to consider making a trip to Morocco. And if you do, find out how we covered all these places in one single trip with our 11-Day Itinerary!